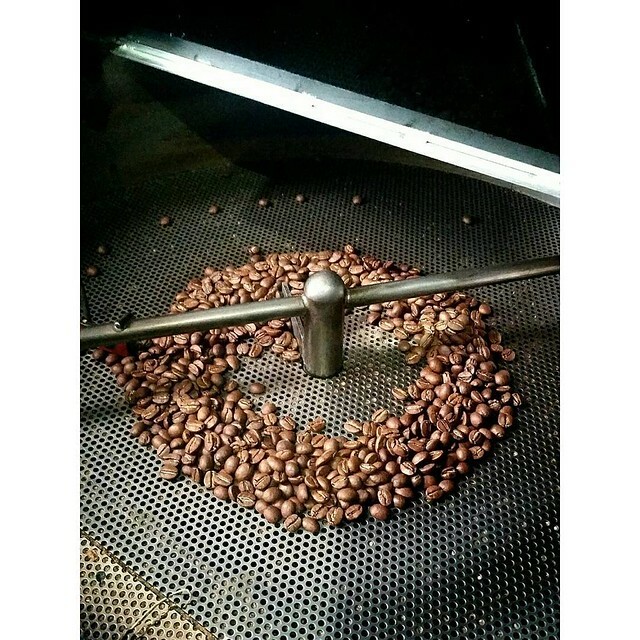 It’s been quite busy at the shop, and John’s been roasting a lot. There are many new coffees this season that John’s been putting up on the shelves and also featuring on our siphon coffee menu. I, however, have not been at the shop much and therefore haven’t been posting much about these coffees… but here I am, determined to post more and tell you more about some of the most popular beans we’re offering at caffe d’bolla. And this post is about a super delicious African coffee– Kenya Kirinyaga Kiangoi AB. Kiangoi is a coffee mill in Kenya. It is one of he processing stations of the Rung’eto Farmers Cooperative Society. While we like estate coffees, sometimes the quality from certain co-ops is superior. In a cooperative, each member is tending to only 200-500 trees on less than a hectare, as opposed to a huge estate that uses agribusiness growing methods. This more “personal” attention is reflected in the cup. Outstanding! In the cup it’s grape, mango, mulling spices, and vanilla bean with a refreshing apple acidity. Come pick up a bag before it’s done for the season!